In late 1945, a Canadian military court sitting in occupied Germany convicted Waffen-SS General Kurt Meyer on charges related to the murder of Canadian prisoners of war in Normandy. It was Canada’s first entry into the war crimes field and the trial raised several important operational and legal issues, particularly with regard to command responsibility. Although sentenced to death by firing squad, Meyer was saved by the controversial decision of Canadian military authorities to commute the sentence and was released after less than a decade of imprisonment in New Brunswick and West Germany. Meyer’s war crimes trial and the final result caused consternation and outrage among the Canadian public at the time and remains among the most controversial episodes in Canadian military history. This collection brings together previously unpublished documents related to Canada’s prosecution of Kurt Meyer, including the original trial transcript and selected materials to situate the trial into political, military, diplomatic, and legal context. Augmented by an extensive introduction and bibliography of related works, these documents allow readers to understand the factors that led Canadian authorities to try Meyer for war crimes and to determine for themselves his relative guilt or innocence. Canada’s involvement with the prosecution of war crimes in the former Yugoslavia and establishment of the International Criminal Court makes the Meyer case especially relevant, and the concept of command responsibility is now embodied in domestic legislation like The Crimes Against Humanity and War Crimes Act. Kurt Meyer on Trial: A Documentary Record will interest members of the military profession, legal practitioners, political decision-makers, as well as students of Canada’s participation in the Second World War. P. Whitney Lackenbauer and Chris M.V. Madsen (eds. 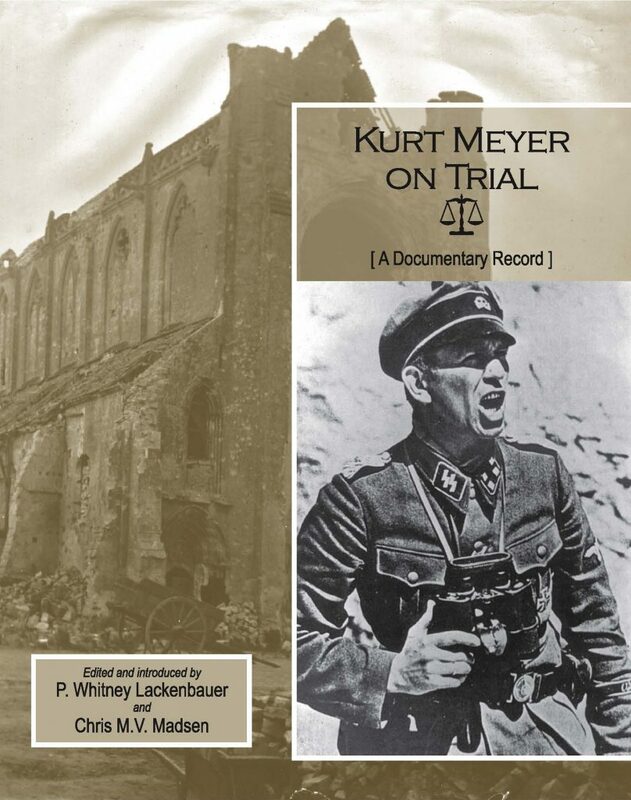 ), Kurt Meyer on Trial: A Documentary Record (Canadian Defence Academy Press, 2007). xii, 697 pp.